Jonathan Sprinkles is here to help you “get your YOU back.” This 1-on-1, personal coaching journey is specifically for busy people who want to reconnect with themselves and regain their zeal. You’re busy, you’re handling your many responsibilities, and you would even consider yourself successful. But somewhere along the way you slowly drifted into “work mode” and your sense of fulfillment, excitement, reward slipped away. You’ve done good things, but…something is missing. Is it possible to be highly-successful and highly-happy (made up word) at the same time? Do you have to choose between more work to pay bills versus more time to enjoy the lifestyle you’ve worked hard to achieve? 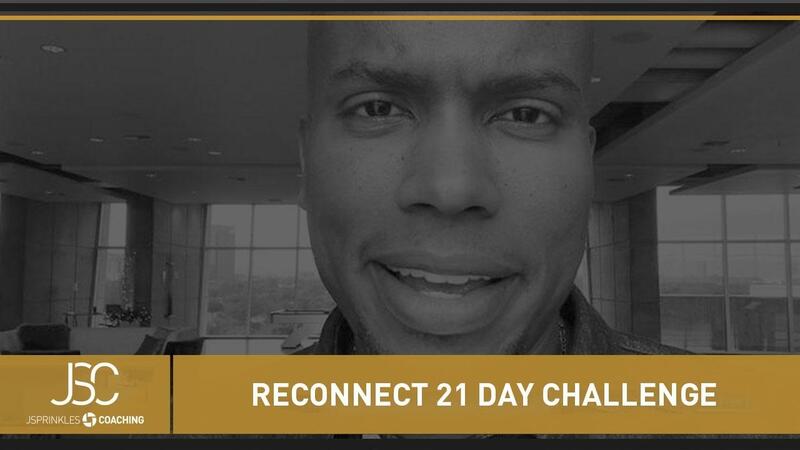 When you take the RECONNECT 21-DAY CHALLENGE, the process for realigning your life will finally become abundantly clear. Even better, you will reconnect with pieces of yourself that had been lost in the shuffle. You will feel yourself revive, re-energize, and reload. Access from all your devices 14 days 100% satisfaction guarantee Comments section: Ask Jonathan anything!